A second tomb has been discovered in Luxor within a week – and a rather personal vendetta revealed. Just a few days ago the American Research Center in Egypt (ARCE) announced the discovery of a tomb found beneath the courtyard of Djehuty (TT110), which they were conserving and restoring. This new tomb belonged to Amenhotep, a ‘Gatekeeper of Amun’. His name had been attacked during the wild reign of King Akhenaten. This pharaoh, devoted to one god, Aten, above all others, set about eliminating the previous supreme deity, Amun. The god’s name was even scratched out where it appeared in people’s names. Now, from the same courtyard comes another exciting find: the tomb of Samut and his wife, Takhat. The artwork in this tomb also was attacked – but this time it was much more personal: several figures on the walls were deliberately damaged. This wasn’t general vandalism. Samut and his wife seem to left alone, whilst other figures standing before them, presenting offerings, have been singled out for destruction. The hieroglyphs labelling the missing offering bearers mention ‘his son’ and ‘his beloved son’. But not all the figures labelled ‘his son’ have attracted damage. This seems to be a very targeted attack upon one individual. This erasure from his parents’ tomb – and presumably his own – was aimed to punish that person and deny them eternal life. One wonders what crime this particular son could have committed to have deserved such harsh treatment. Pictured above is the tomb owner, Samut, and his wife Takhat. Based on the artwork, Samut and Takhat probably held prestigious positions during Egypt’s 18th dynasty, between 1550 B.C. and 1323 B.C. Below you can see the image of Samut and Takhat's son, (possibly named Kha), has been hacked from the tomb wall. Enjoyed the article? 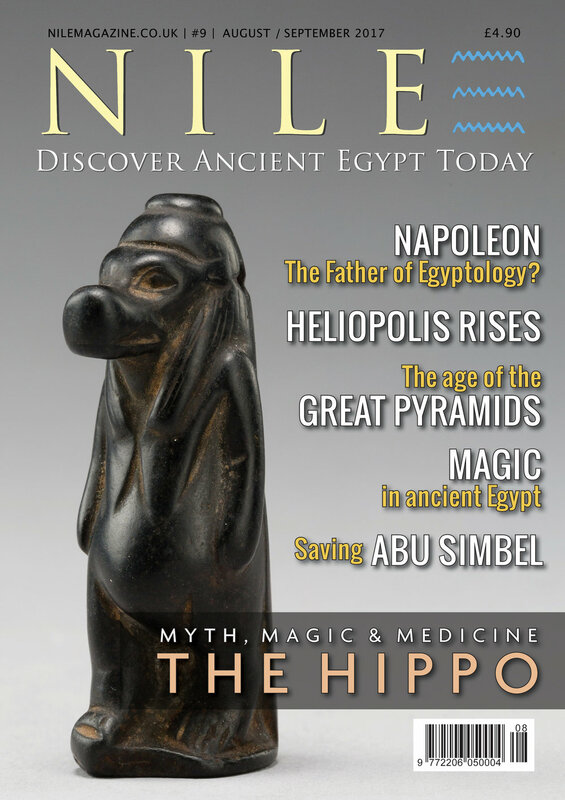 Why not subscribe and enjoy 12 months of Nile Magazine. Click here to lose yourself in ancient Egypt.